Welcome to the Ultimate Hamer USA Archive. This is my tribute to the fine guitars and basses made by Hamer USA. You will find original articles, full lists of Hamer USA models as well as old catalogues and articles from various sources. While you may not know the name Mike Shishkov, chances are pretty good that you have seen (and heard) his work. Mike was the master craftsman behind some of the most famous and iconic electric guitars ever built. The recent decision to cease production of Hamer Guitars was the heartbreaking end of an era. This event however, presents new opportunities for those who had a hand in building some of the highest quality and innovative American electric guitars ever produced. By launching Shishkov Guitars, Mike has dedicated himself to continuing the legacy of building custom instruments to exacting standards. 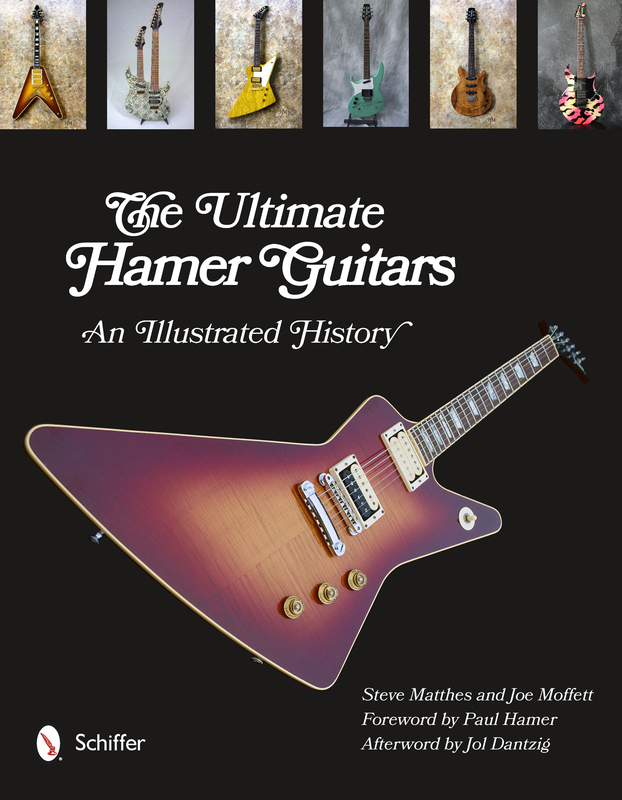 New Book Published on Hamer Guitars! Order from Amazon.co.uk in the UK and Europe*. * A cookie lets Amazon know that The Ultimate Hamer Archive referred you. This Hamer Archive is a privately owned and operated site. It is not affiliated with Hamer Guitars, KMC Music, Jol Dantzig Design, Shishkov Guitars or Fender Musical Instruments Corporation (FMIC). Please also visit The Hamer Fan Club for discussion boards and more. This site is complementary to the HFC, not in competition.